Many maritime accidents are caused by errors of bridge personnel and inadequate bridge procedures. In order to reduce this number, deck department has to be well prepared before a vessel’s departure for a voyage at the sea. These preparations may include many complexities and this is the reason why a bunch of things should be considered and prepared carefully, to ensure a smooth voyage passage and safe navigation. Initially, a comprehensive passage plan is essential to the safety of navigation. 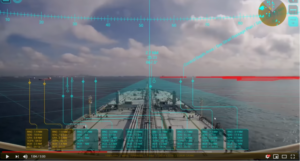 Vessel’s passage plan should be prepared and available on the bridge, checked and approved by the Master with its route displayed on primary and secondary ECDIS and/or available paper charts. An effective weather review should be conducted in order to finalize the plan. The charts and nautical publications should be updated with the latest notices/corrections and available onboard. During Pilot’s stay onboard, the effective coordination between him, Master and the other members of the bridge team is necessary. All the records that are relevant to pilotage procedures must be completed. The interaction sheet between vessel’s bridge team and Pilot is the Pilot Card. Several machinery and electronic equipment in Engine and Deck department, has to be tested, synchronized and ready to be used before departure. This equipment should include (but not limited to) anchors, cables and winches, GMDSS, BNWAS, communication equipment, gyro and magnetic compasses, ARPA, steering gear, navigational lights, Global positioning systems, VDR etc. Also, doors, openings, cargo and handling equipment should be secured in order to avoid water ingress and to ensure vessel’s stability. Lastly, vessel’s crew, in every department should be fit for duty, with all stations manned and ready before sailing. Operators should consider the importance of the vessel’s proper preparation for departure and supply vessels with the appropriate bridge procedures checklist, taking into account national and international guidance.This checklist has to be completed by the Officer on the Watch and it may be used after vessel’s preparation, to ensure that all mentioned actions have been performed before the working phases. Interesting article and ‘Checklist’. However, all checklists in the Bridge Procedure’s Guide are considered to be the norm/standard.